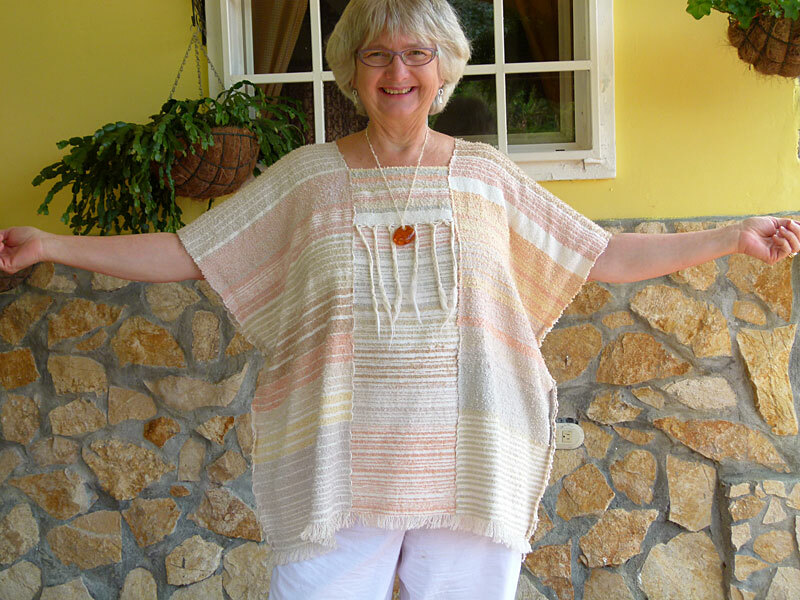 I am so tickled to start making simple tops from my fabrics. My friend Johnnie helped me get started so now I have more confidence to cut and sew my fabrics. This one I call my Beach Shirt because I was thinking of a moonlight walk on the beach. This one is made from leftovers of three different fabrics. I love how they go together. I feel like an old hippie wearing this shirt (as I am)!